Panasonic P.180 is a seamless end-to-end platform for organizations that rely on global connectivity to get work done. P.180 uses eSIM technology to connect to Tier 1 LTE access through select networks spanning over 180 countries, with pricing predictability and no roaming fees. And it is engineered with the same purpose-built philosophy as Panasonic’s market-leading hardware, offering a complete hardware and connectivity solution. P.180 is easy to purchase, deploy and service. Simply add P.180 on select Panasonic TOUGHBOOK® laptops, tablets, 2-in-1s and handhelds to get your connected workforce up and running immediately. This combination of hardware and wireless connectivity in one solution makes it easier for North American companies to acquire, deploy, and manage their mobile workforces. 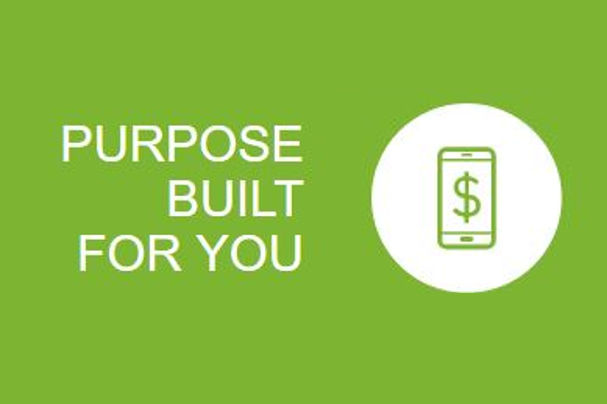 Like Panasonic TOUGHBOOK mobile products, P.180 is designed with a purpose-built philosophy, delivering a reliable solution with your unique needs in mind and offering customizable pricing plans fine-tuned to your organization. 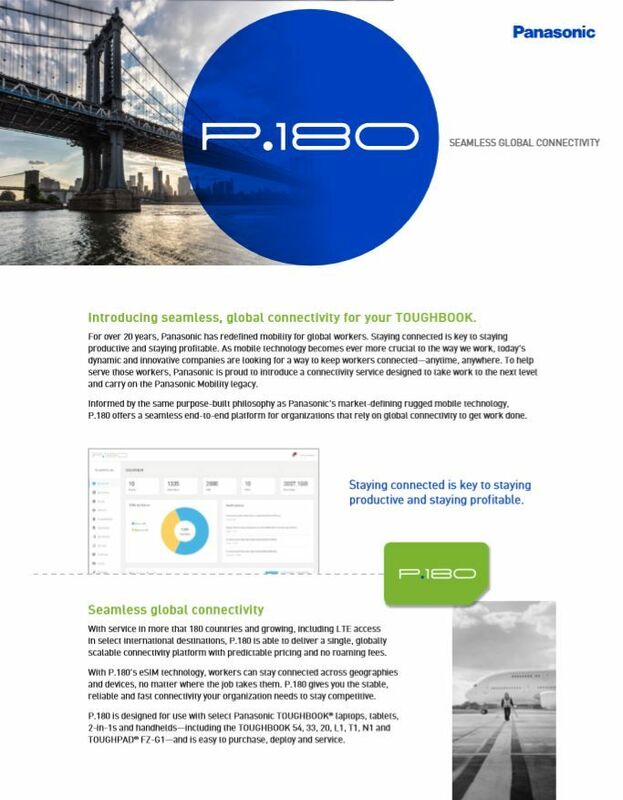 See how P.180 works towards global connectivity. 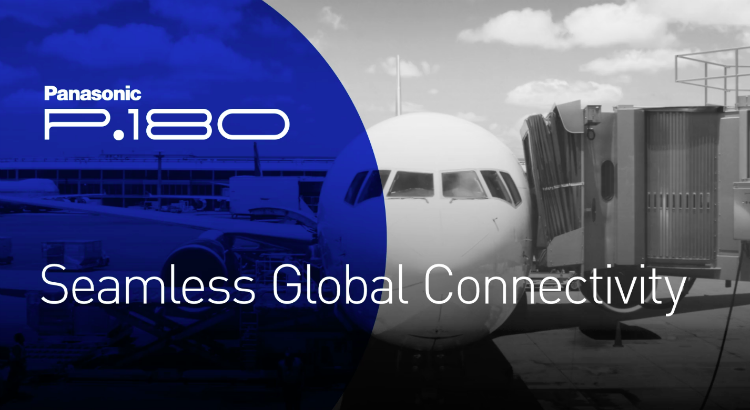 Learn how seamless global connectivity can enhance your business.